Is there anything more frustrating than getting an assignment that leaves you scratching your head in confusion, wondering how to approach it? We have all been there. In fact, no one becomes a great writer unless he or she tackles assignments that are challenging, frustrating, and new. However, while completing a particularly challenging assignment might make you a better writer, the process can create a tremendous amount of anxiety for the average student. Instead of focusing on completing your assignment, you might be wondering if you are approaching it correctly, what mistakes you are making, and what kind of impact it will have on your grades. Take a deep breath, calm down, and let us help you. We have a number of essay writing tutorials aimed at helping students understand the challenges of various types of writing assignments. Most of our essay writing tutorials focus on past and present current events, reflecting the types of assignments students are likely to encounter in their own course work. Using these tutorials, students can improve their own writing. Our tutorials come in multiple formats. We have some simple Q&A style formats that address the questions and issues that our customers experience most frequently. If you are having a particular writing challenge, such as how to write a lengthy essay, how to properly use a particular citation style, or how to tackle a specific type of essay, these tutorials can provide you with invaluable information and guidance. We also have tutorials that focus on example essays, providing annotations to some of our most popular example essays so that you can understand why a writer made specific choices when writing that assignment. 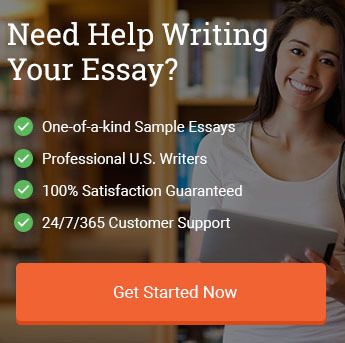 Combined together, these essay writing tutorials can help you meet any challenges you face, make better grades, and become a better writer.